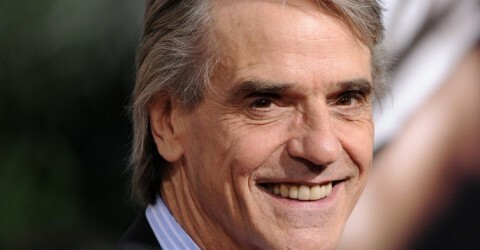 Jeremy Irons was a presenter at the 70th Golden Globe Awards, held on 13 January 2013. He introduced the film Salmon Fishing in the Yemen as a nominee for Best Picture – Musical or Comedy. Jeremy also attended the HBO and FOX after-parties. 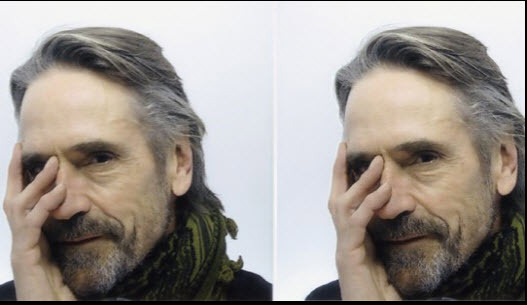 Jeremy Irons had stepped outside the Golden Globes show and was preparing himself a hand-rolled cigarette when he stopped in mid-roll and pocketed his tobacco. “Wait, I want to see Jodie,” he said. He rushed back inside the ballroom in time to see Jodie Foster accept the Cecil B. DeMille Award for lifetime achievement from Robert Downey, Jr.